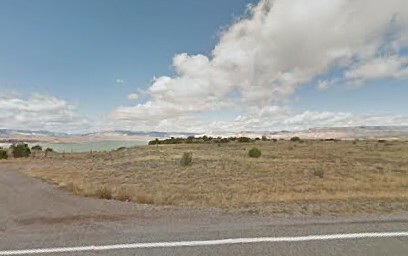 Abiquiu Lake is a U.S. Army Corps of Engineers managed lake, with recreation areas and a campground. 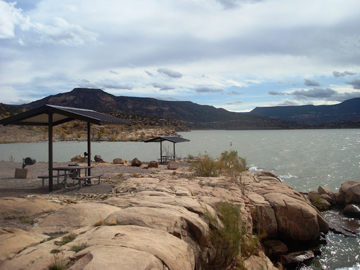 The lake is a 5,200-surface-acre reservoir and offers some of the finest fishing in northern New Mexico. The area includes a fine panoramic view of the Cerro Pedernal (Flint Mountain) from the dam. The scenery of the area includes Pinon (Pine), Juniper and Sage among colorful rock formations. Reptile fossils 200 million years old have been found in the area. Taos and Santa Fe, N.M.